Having high blood pressure, also known as hypertension, can be a silent killer. High blood pressure doesn’t have any obvious symptoms, so you might not know there’s an issue until it’s too late. 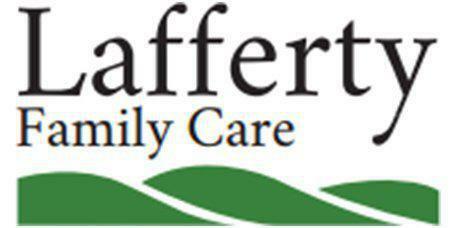 At Lafferty Family Care in Bentonville, Arkansas, you can be treated by heart specialist Dr. Scott Lafferty. As an expert in modern heart attack-prevention techniques, Dr. Lafferty will help you lower your blood pressure -- and preserve your heart health. Why is high blood pressure such a big concern? When your blood pressure rises, so does the pressure against the walls of your veins and arteries. This can cause clogging as cells stack on top of each other, plus it can cause veins and arteries to rupture. Your heart also has to pump harder when your arteries start getting clogged and thicken up. This puts added strain on your heart muscle, which can increase your risk of developing heart disease. What should my blood pressure be at? For optimal heart health, your blood pressure should be less than 120/80 mmHg. If your blood pressure is slightly higher than this, it might be a sign of early high blood pressure, or prehypertension. In some cases, though, men and women are a bit nervous at the doctor, causing their heart rate to go up and blood pressure to increase. So if your blood pressure is only slightly elevated, Dr. Lafferty will likely run other tests -- including blood tests -- to see if you’re at risk of developing high blood pressure. If your blood pressure goes above 140/90 mmHg, you’ll probably be diagnosed with high blood pressure (hypertension). Once it spikes above 160/100 mmHg, it’s dangerously high and you might need an immediate treatment. Is there a way to lower my blood pressure? Yes. Depending on how high it is, Dr. Lafferty might evaluate your weight to see if you need to start there. Often losing even a few pounds and increasing your activity level, can improve blood pressure levels. Quitting smoking and minimizing your alcohol intake (if these apply) can also help with high blood pressure. 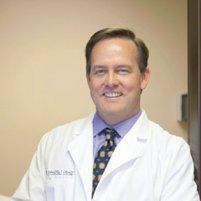 In addition to lifestyle changes, Dr. Lafferty might put you on prescription medication. They all work in different ways, so he’ll find one that doesn’t interact with anything else you might be taking. Some medications function by helping you excrete excess sodium through urine, while others open up your arteries so blood can flow more smoothly. It depends on the cause of your high blood pressure as to which medication is best.